Hey , need some help here, recently installed Magento 2 with CWPanel PRO at my new server. its very slow. when i open my website the CPU usage is 100% and takes a lot of time to load the website..
What does top say is using it all ? 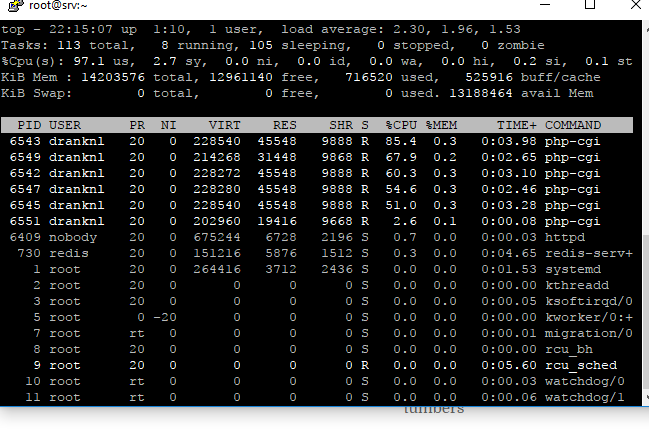 Bare in mind this was a debian server but it is the same on a centos server. Suspend that magento account, if you see the server performance gets better, meaning the Magento app did not well coded.